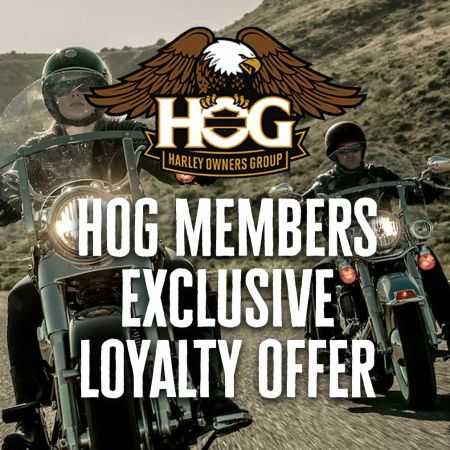 To all of our HOG members*, we have an exclusive loyalty offer just for you. Starting today, receive up to £1,900 off MY18 Sportster, Softail & Touring models. £1,450 OFF Softail ® Models. -Eligible to H.O.G ® members who were active prior to December 2018 and who have not purchased a bike after July 2018. T&C'S APPLY.